Welcome to the End of Year Newsletter! As the end of December approaches, let’s take a look at some of the open government highlights of 2017! 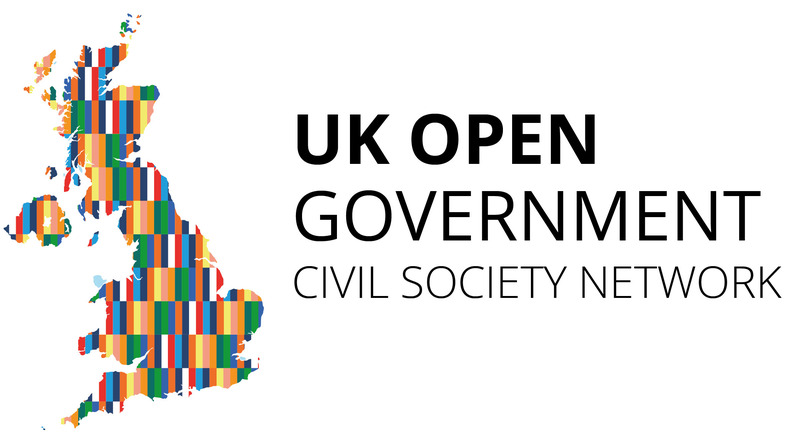 The UK Open Government Network (OGN) collaborates with and challenges governments in the UK to develop and implement ambitious open government reforms through the UK’s membership of the Open Government Partnership. Although there are delays to the implementation of some commitments, the current 2016-18 action plan has achieved a number of milestones and successes which are thanks to the support of you, the Network, in pushing and monitoring these reforms. For example, the UK now publishes an open register of beneficial owners of companies. The Government also now follows the Open Contracting Data Standard, meaning the whole process of bidding, awarding and auditing public sector contracts is publically available. Finally, grants data from the Department for Transport and Ministry of Justice are released to the standard format developed by the 360Giving initiative – making these grants more transparent, efficient and effective. Let’s not forget either that most recently, the government published its anti-corruption strategy (civil society called for effective and prompt implementation) and launched its consultation revising the Freedom of Information Code of Practice. If you want to see more, check out the Midterm Self-Assessment reports by Government. Congratulations to numerous organisations and individuals within the OGN are due here for their collaboration and hard work in getting these reforms through (as well as those in government implementing them)! Well done! To keep the momentum going, over the last year-and-a-bit, government officials and OGN members leading on various commitments have had regular update meetings on the implementation of the action plan, which are published online on the OGN website. Click here to see the notes from the most recent National Action Plan III Implementation Meeting. As well as these regular meetings, the OGN Steering Group has also met Chris Skidmore, Minister for the Constitution (in April), as well as Caroline Nokes, Minister for Government Resilience and Efficiency (in November), to discuss open government and the progress of the various commitments. If you would like to know about how to be more involved in 2018, feel free to contact me! It would be impossible to write a roundup of the year without mentioning this year’s snap general election in June! 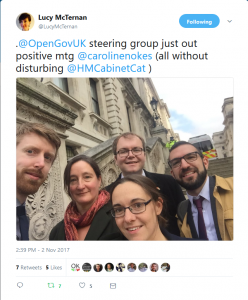 Soon after the announcement, letters signed on behalf of the OGN by the Steering Group were sent out to political parties, calling on them to commit to principles of open government. This year, the OGN has also engaged in other issues outside the official National Action Plan process – such as by attending the International Conference of Information Commissioners held in Manchester in September. In May, the Network made a joint submission to the Law Commission’s ‘Protection of Official Data’ consultation. 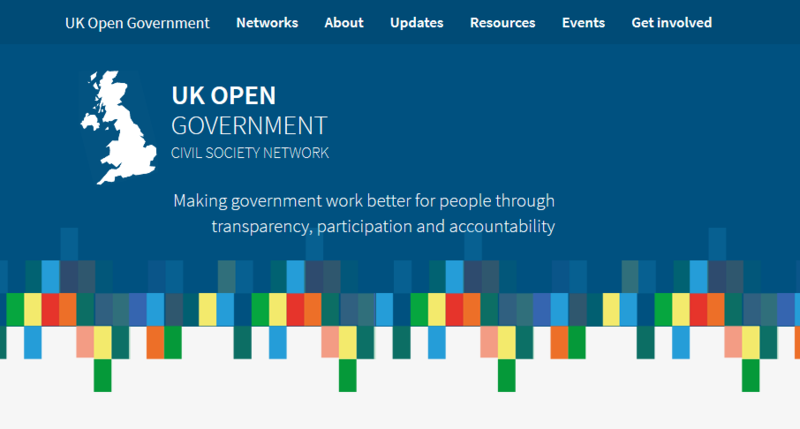 This year, the Open Government Pioneers Project, funded by the Big Lottery Fund and led by the devolved Open Government Networks, has been a growing area of activity for the UK OGN Secretariat. The project has a particular focus on building the capacity of citizens and civil society to use open government approaches to progress the Sustainable Development Goals. Watch out next year for the project conference in Belfast on 15th March! 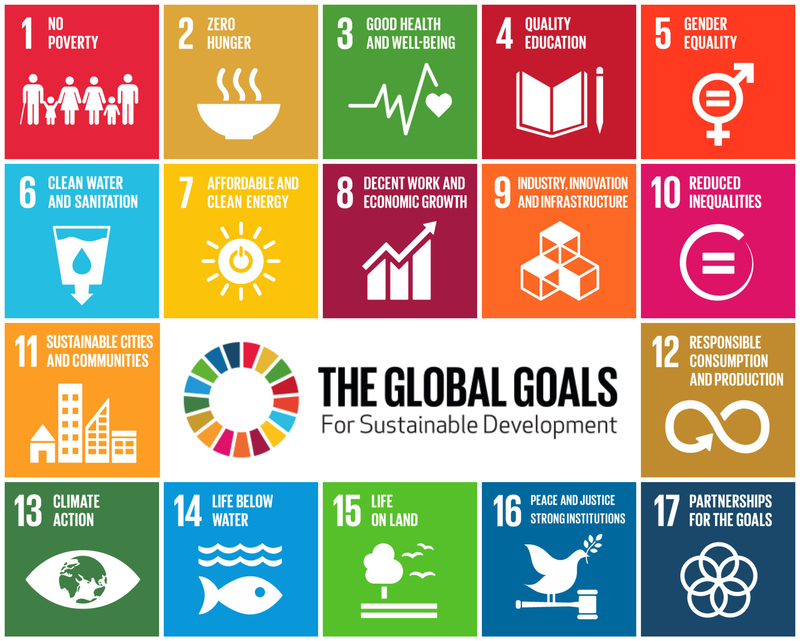 The UK OGN Secretariat has also begun collaboration with UKSSD to monitor and report on the implementation of the Sustainable Development Goals in the UK (specifically, Goal 16 on Peace, Justice and Strong Institutions). Next year the whole network will be invited to help with this hugely important exercise. Earlier this year the family of Open Government Networks was completed with the establishment of a Welsh network. There are now OGNs for the UK and each of the devolved nations – Wales, Scotland (see their latest newsletter) and Northern Ireland. 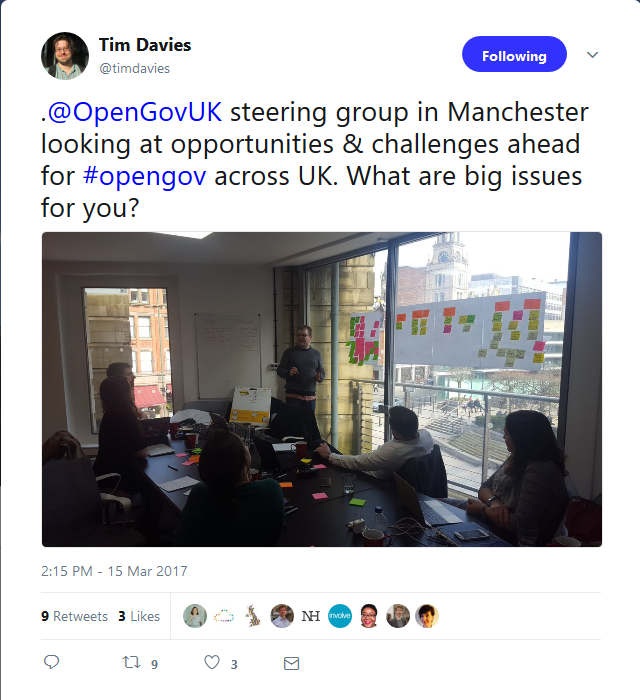 Members of the new Steering Group held a strategy meeting in Manchester earlier this year which looked at how to improve the OGN. Following the snap general election and the start of a new Parliament, a broader event was held to look at future opportunities for open government. This strategising is destined to feed into activities and improvements to the OGN over the course of the new year. The Network Secretariat also gained a new coordinator at the end of October, Andreas Pavlou (that’s me!). Big thanks go out to Matt Harriott who has also coordinated the network this year, as well as Tim Hughes for his continued support and guidance. I have been running the network now for two months, and am throwing myself into it to make it bigger, better and more effective than ever before. If you have suggestions or want to let me know about what you think about the Network and what can be improved, get in contact! Summer 2018 – Steering Group elections. Three Steering Group positions will be up for election, so stay alert to get your application in later this year! Read more about the process in section 5 of the UK OGN Terms of Reference. Enjoy the festive break and a happy new year to you all!